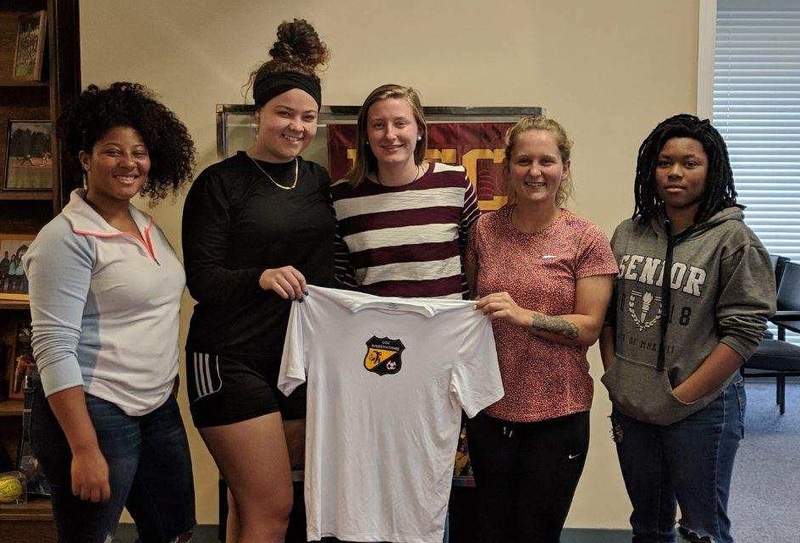 “Former Edisto High School leading scorer, Mia Bagwell, signs with the USC Salkehatchie Indians. Current Salk soccer players Brittani Mosher, Kerri Smutney, Adrienne Child’s and Briana Bridges join her in celebrating. LT Leshore commits to Salk!